Combine sugar, salt and 8 litres water in a small stockpot over medium heat, stir to dissolve, then add onion, leek, garlic, bay leaves, thyme and peppercorns. Remove from heat, cool completely, add turkey, place a plate on top to fully submerge and refrigerate for at least 24 hours. Preheat oven to 180C. For freekah and pancetta stuffing, cook freekah in boiling salted water until tender (10-15 minutes), drain. Spread on a large tray and cool completely. Meanwhile, heat oil in a saucepan over medium heat, add pancetta and sauté until golden (5-7 minutes). Add onion and garlic, sauté until golden (5-7 minutes), then transfer to a large bowl. Add parsley, lemon rind and juice and freekah, season to taste, set aside. Remove turkey from brine, pat dry with absorbent paper, spoon stuffing into cavity, truss legs with kitchen twine and tuck wing tips under backbone. Place on a wire rack placed in a roasting tray, rub with butter, add cider to roasting tray, roast until golden and cooked to your liking, basting occasionally (1 hour 45 minutes for cooked breast and just-cooked thigh; 2 hours for well-done breast and thigh). 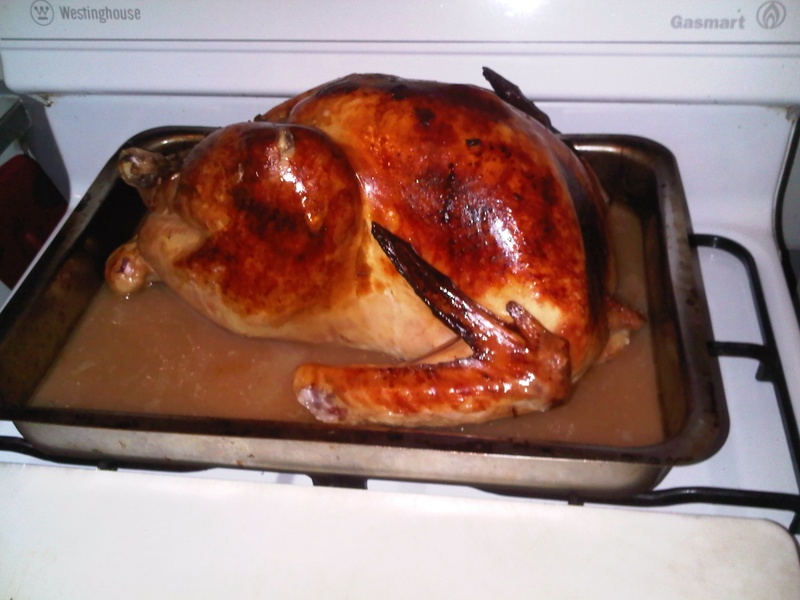 Remove turkey from pan, cover loosely with foil and rest for 10 minutes. Meanwhile, place pan over medium heat, deglaze with vinegar, then add stock and simmer over medium heat until reduced to sauce consistency (8-10 minutes). Season to taste, strain through a fine sieve into a serving jug. Carve turkey and serve with sauce.